Ladies contemporary styled diamond bar necklace crafted in 14k yellow gold. 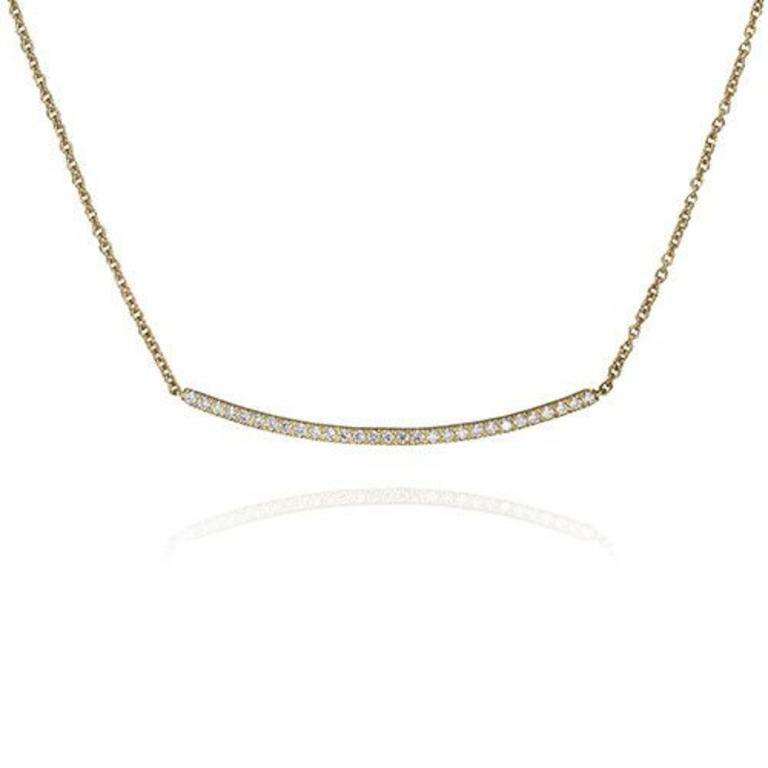 The diamond bar is set with round brilliant cut diamonds that are pave set across the softly curved surface. These diamonds have a combined weight of 0.20ct. The necklace is rolo link in style and secures with a spring ring clasp for safety. The necklace also includes two gold rings near the clasp to adjust the length to 16 inches, 17 inches and 18 inches.